Uranium mining began on native lands in the 1950’s and continued until the market dropped in the early l980’s. Tribal members worked in the mining industry for three decades with little or no information about the toxic conditions of the workplace. 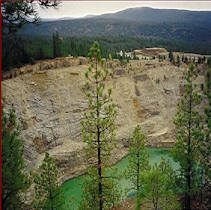 Two open-pit mines were launched on the Spokane Reservation. Midnite Mine began in 1953 and became a Superfund Site in 2000. There are complex difficulties with the Midnite reclamation due to aquifer penetration during mining operations, creating perpetual seepage evolving into two lakes of standing contaminated water which flows into Blue Creek and the Spokane River after undergoing a dated water treatment process. Sherwood Mine was operated by Western Nuclear from 1978 until 1984 and has since been reclaimed. However, an estimated 1200 workers at Sherwood Mine and Millsite were never provided sufficient information about the detrimental impacts of radiation and by-product toxins associated with the uranium mining. The residents of this reservation suffer disproportionate health impacts as a result of radiation and heavy metal contaminant exposure. There has never been a baseline health study conducted to determine health impact. 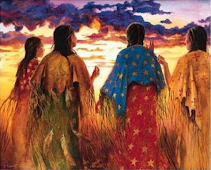 Risk exposure to the community is especially high due to the subsistence lifestyle and cultural/spiritual practices, including hunting, fishing, gathering roots and berries, logging, sweatlodge and medicinal plant use.